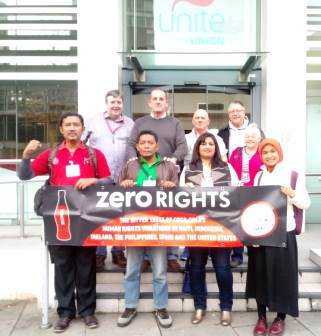 In the UK the delegation outlined rights abuses by Coca-Cola at meetings at the UK's largest private sector union and IUF affiliate UNITE during its National Executive Committee meeting. The delegation also met with the national trade union Centre the Trades Union Congress (TUC) and senior Coca-Cola union representatives. 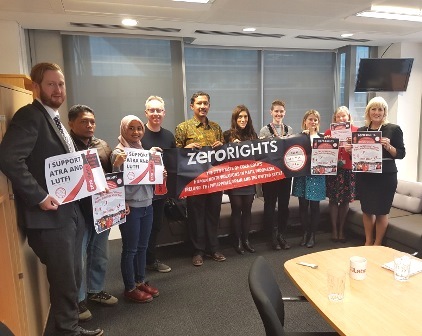 The delegation was hosted at the UK Labour Party headquarters where they described Coca-Cola's continued support for a legacy organization of the murderous Suharto regime in Indonesia. 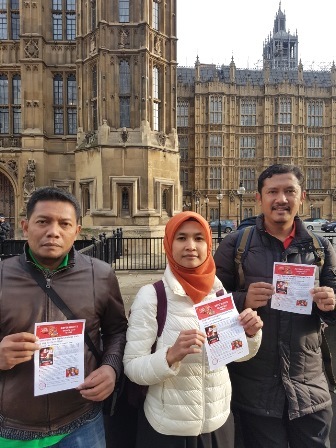 Meetings were also held with UK student groups who agreed to monitor and support the campaign into 2019. 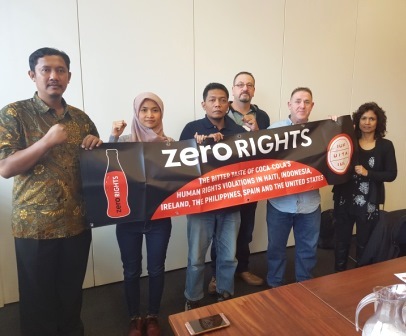 All UK organizations the delegation met pledged ongoing support to the campaign recognizing that Coca-Cola's unwillingness to remedy long-standing rights abuses meant the campaign would most likely have to stretch well into 2019 and possibly even beyond.